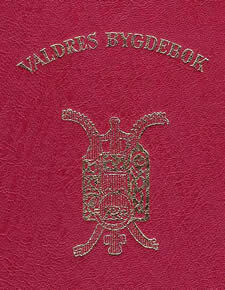 Published volumes of Valdres Bygdebook. Volumes 4, 7 og 8 are also published with the binding of the collection of Valdres Bygdebok. Hvattum, editor Ivar Aars. Publ. 1989. 452 p. NOK. 350,-. 2. Parish records of Etnedal. Book B. Residences/farms and families in the northern part of the parish of Bruflat. Author: Harald Hvattum. Editor: Ivar Aars. Publ. 1990. 464 p. NOK. 350,-. 3. Parish records of Etnedal. Book C. Residences/farms and families in the southern part of the parish of Bruflat. Songs of Etnedal. Bibliography of Etnedal. Registry for volume A-C. Author: Harald Hvattum. Editor: Ivar Aars. 4. Parish records of Sør-Aurdal. Book A. Reinli and Western Bagn. Author: Jon Ola Gjermundsen. Editor Ivar Aars. Publ. 1987. 730 p. NOK 300,-. 5. Parish records of Sør-Aurdal. Book B. Kyrkjebjørgo, eastern Bagn, Leirskogen, Dølve,Hølera. Author: Jon Ola Gjermundsen. Editor: Ivar Aars. Publ. 1988. 743 p. NOK. 300,-. 6. Parish records of Sør-Aurdal. Book C. Garthus, Tollefsrud and Strømmen. Author: Jon Ola Gjermundsen. Editor: Ivar Aars. Publ. 1990. 403 p. NOK. 230,-. 7. Parish records of Sør-Aurdal. Book D. Hedalen and Vassfaret. Out of print - no more books available ! - Author: Jon Ola Gjermundsen. Editor: Ivar Aars. Publ. 1992. 651 p. NOK. 300,- ea. All 4 volumes, NOK. 1.000,-. 8. Parish records of Vang. Book A. Øye and western side of Vang. Author: Anders Frøholm. Editor: Ivar Aars. Publ. 1985. 906 p. NOK. 500,- . Ivar Aars. Publ. 1990. 557 p. NOK. 300,-. Ivar Aars. Publ. 1991. 463 p. NOK. 300,-. 11. Parish records of Vestre Slidre. Book A. Lomen and the eastern part of the parish of Slidre. Author: Geir Beitrusten. Editor: Ivar Aars. Reprinted 2001. 464 p. NOK. 300,-. 12. Parish records of Vestre Slidre. Book B. Western side of Slidre. Røn. Author: Geir Beitrusten. Editor: Ivar Aars. (The publication of 1979 was edited by Peder Lillebrænd.) Publ. 2001. 432 p. NOK. 300,-. 13. Parish records of Øystre Slidre. Book A. Lidar and Hegge. Author: Geir Beitrusten. Editor: Ivar Aars. Publ. 1987. 439 p. NOK. 275,-. Only few books left. 14. Parish Records of Øystre slidre. Book B. Volbu and Rogne. Author: Geir Beitrusten. Editor Ivar Aars. Publ. 1987. 438 p. NOK. 275,-. A few unbound books left. 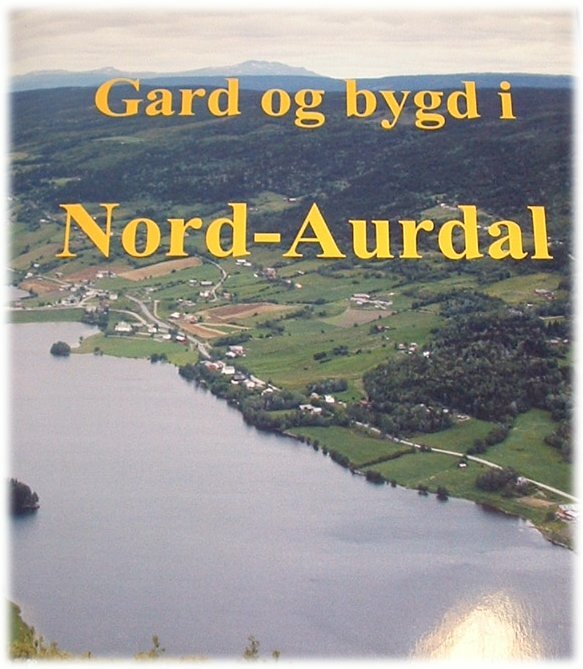 The parish records of Nord-Aurdal are expected to be finished between 2015 and 2020. Nature, the old days, dialects, place names and people. Editor: Knut Hermundstad. Publ. 1954. 1. Jul Haganæs: "Valdres wake up". 2. Knut Hauge: Fairy-tales from Valdres. 3. Peder Lillebrænd: Valdres from a geological angle. 4. Bjørn Hougen: Valdres in the old days. 5. Olav T. Beito: The language of Valdres. 6. Johs. Sivesind: Runes in Valdres. 7. Mikael Sørlie: Farm names and the old settlements of Valdres. 8. Torstein Høverstad: The people of Valdres. 9. Mikkjel Fønhus: Persons who emigrated. Editor: Peder Lillebrænd. Publ. 1972. 690 p.
1. Anders Frøholm: The political, ecclesiastical, social and economic history up to 1814. 2. Peder Lillebrænd: The war in Valdres 1940. 3. Knut Hermundstad: Electricity in Valdres. Price: With granitol binding: NOK. 150,-. Leather binding: NOK. 200,-. 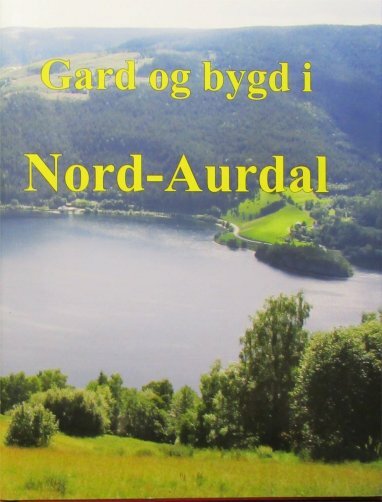 Book II of Valdres history from 1814 till today is expected to be published in 2002. Trading, co-operatives, communication. Editor: Knut Hermundstad. Publ. 1954. 540 p.
1. Knut Hermundstad: History of trading in Norway before free trade was established. 2. Knut Hermundstad: The trade of peasants. 3. Knut Hermundstad: Cattle trading. 4. Knut Hermundstad: The pedlary. 5. Knut Hermundstad: The oldest country trade. 6. Knut Hermundstad: The later country trade, from about 1840. 7. Knut Hermundstad: The cultural development of trade. 8. Knut Hermundstad: Interviews with the oldest country tradesmen in Valdres. 9. Knut Hermundstad: Valdres tradesmen's association. 60 years old (1892-1952). 10. Knut Hermundstad: Valdres' tradesmen 1952. 11. Knut Holden: The Co-operatives in Valdres. 12. Knut Hermundstad: Co-operative managers 1953. 13. Andris Hamre: The farmer's co-operatives in Valdres. 14. Several authors: Communications in Valdres in the old days (about roads, the railway, automobiles, post administration, telephone and telegraph, conveyance, hostels). Wild animals and hunting, fisheries, tourism, crafts and craftsmen. Editor: Knut Hermundstad. 1. Knut Hermundstad: Wild animals and hunting. 4. Several authors: Crafts and craftsmen (about various crafts, female and male crafts). Editor: Knut Hermundstad. Published 1964. 639 p.
1. Karin Melbye Gjesdal: The art of tissue in Valdres. 2. Knut Hermundstad: Old things from Valdres in museums outside Valdres. 3. Sigrid Hamre: Valdres arts and crafts association. 4. Gullik Kirkevoll: The most important and exceptional wild growing plants in Valdres. 5. Per Tuff: Cattle farming in Valdres during the centuries. 6. Knut Hermundstad: Mountain dairy farming. 7. Eirik Fossbråten: Farming and farming tools. Gardening. 8. Olav Moen: 4-H associations in Valdres. 9. Knut Ødegård: Forestry in Valdres. 10. Knut Hermundstad: Industry in Valdres. 11. Asbjørn Landmark: Craftsmen's association in Valdres. 12. Kolbjørn Sukke: Building traditions in Valdres. 13. Asbjørn Landmark: Local fire insurance in Valdres. 14. Gunnar Skrutvold: The banking industry in Valdres. 15. Gunnar Skrutvold: The banks in Nord-Aurdal. 16. Eivind Sæteren: Søndre-Aurdal savings bank. 17. Andris Hamre: Vestre Slidre savings bank. 18. Anders Fossbråten: Etnedal Sparebank. 19. Anders H. Hermundstad: Vang Sparebank. 20. Hans Kjærnet: Christiania Bank og Kreditkasse, Bagn and Fagernes. 21. Haldor Hegge: Øystre Slidre Sparebank. 22. Anne Ødegaard: Fare and mode of living. School history, church, associations/clubs, and folkmusic artists, "Valdres", Valdres Folkemuseum. Editor: Knut Hermundstad. Publ. 1968. 638 p.
1. P. Lillebrænd and Johan Skrindsrud: The School history of Valdres. 2. Knut Hermundstad and Olav Moe: Folk music artists in Valdres. 3. Arne Bjørndal: Traditional harding fiddle music in Valdres. 4. Nils Hovi: Popular poetry in Valdres. 5. Knut Hermundstad: Folklore in prose style. 6. Halvard Dokken: Newspaper publishing in Valdres. 7. Andres Høyne: Valdres youth association. 8. Ivar Onstad: Valdres youth associations in Oslo. 9. Ottar Opheim: Valdres chorus associations and associations of musicians in Valdres. 10. Knut Hermundstad: The Norwegian mission's association. 11. Knut Hermundstad: Norwegian lutheran mission. 12. Signe Nes Håre: The santal mission in Valdres. 13. Jon Bonlid: The Home mission in Valdres. 14. Knut Hermundstad: Sunday school in Valdres. 15. Youth clubs not placed under Valdres youth associations. (M. Gladhaug: Christian youth society, Ivar Ars: Scout work in Valdres). 16. Valdres on the Mission field (sevaral authors). 17. Knut Hermundstad: The mission for seamen. 18. Knut Hermundstad: The dissenters. 19. Andris Hamre: The farmers and the small farmers' associations. 20. Marit Robøle Melby: The farmer women's assosiations in Valdres. 21. Kristina Windingstad: Valdres district of Norwegian housekeepers' association. 22. Ragnhild Bøe Fossbråten: Teetotal societies in Valdres. Author: Øystein Gaukstad. Editor: P. Lillebrænd. Publ. 1973. 263 p. + unpaged notes and melodies. Price: Granitol binding: NOK. 150,-. Leather binding: NOK. 200,-. Price: NOK 350,- for both together.